Leading up to Easter, every weekday evening there will be a series of ecumenical worship services. This year they are being held in Seagate Evangelical Church, which you can find on West Portland Street. Services start at 7:30 pm and will be led by Pastor Richard Woods. 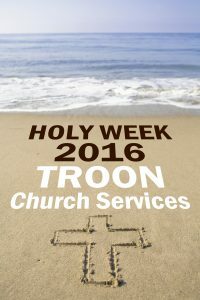 Each evening the preacher will be a different minister/cleric from all of the churches in Troon. The Maundy Thursday evening service will include the sacrament of Holy Communion. On Good Friday morning there is an additional service at 11:15 am, also at Seagate Evangelical Church. At 8 pm there will be an Easter Vigil – Service of Light at both St Ninian’s Scottish Episcopal Church and Our Lady of the Assumption. The joint Easter Sunday Dawn Communion service is held on Troon Beach (near the War Memorial) at 6:30 am. 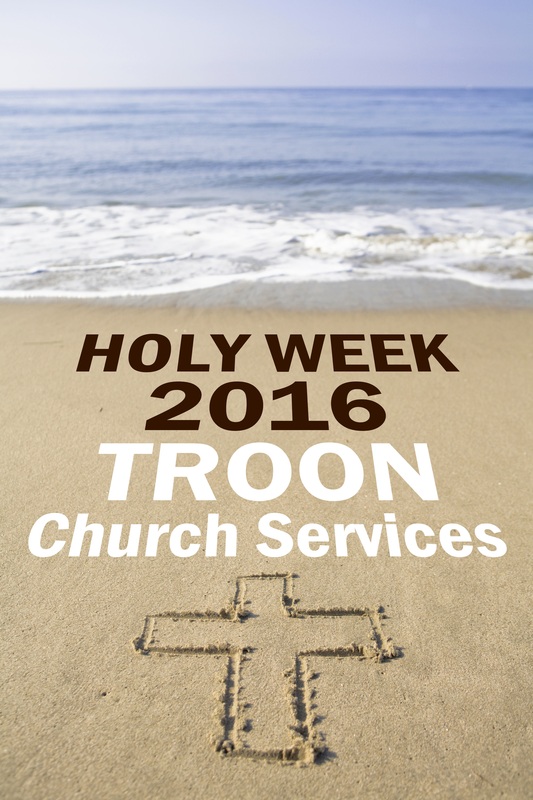 Wrap up warmly and enjoy this uplifting open air service for all Christians in Troon. Breakfast – in the form of very enjoyable hot filled rolls – will follow in Troon Old Parish Church. The churches in Troon hope that you and those you love find a worship experience which you will enjoy and find fulfilling during this special week. Everyone – whatever your background – is welcome to attend every service.